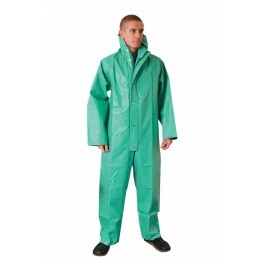 Chemical Resistant Boilersuits are manufactured from lightweight double sided PVC coated nylon, which improves wearer comfort and freedom of movement. All seams on the suit are sewn and then welded providing high bursting strength to increase personal protection against the penetration of harmful liquids. The suits offer excellent resistance to acids, alkalis and other chemicals, as well as being excellent against tears and abrasions. 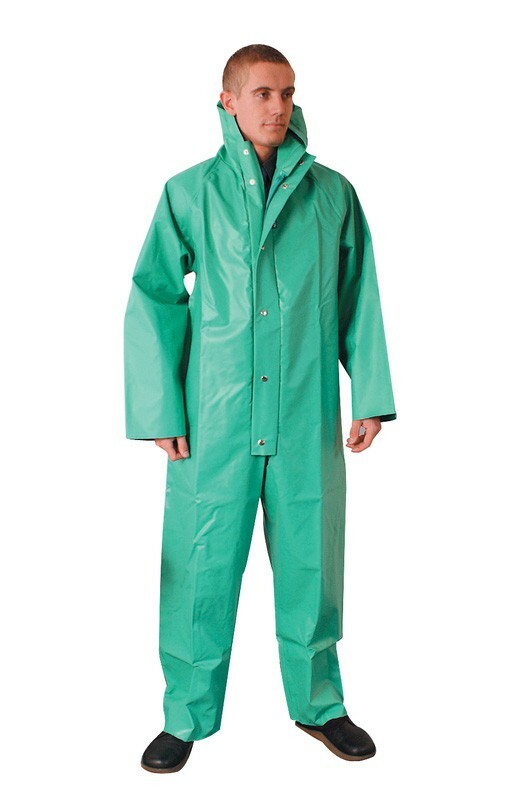 The suits also features elasticated wrists and ankles and double, stud fastened, flap to the front of the garment. Conforms to European Standard EN 465 Cat 3. Available in Small, Medium, Large, Extra Large and Extra Extra Large.